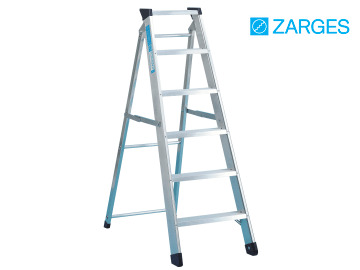 The Zarges Industrial Swingback Steps have high strength for regular use and are the ultimate builders stepladder. The stepladder has a patented 7-point connection between tread and stile with reinforcing support rod through the centre of the tread. 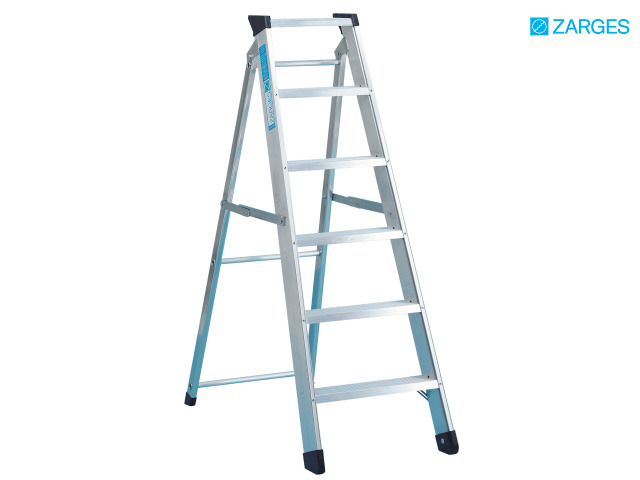 For safety, the ladder has non-slip rubber feet and large serrated treads. Smooth box section stiles ensure a comfortable hold, with no sharp edges. Optimal stability is provided thanks to locking side bars on both sides. Comes with a ten year guarantee.